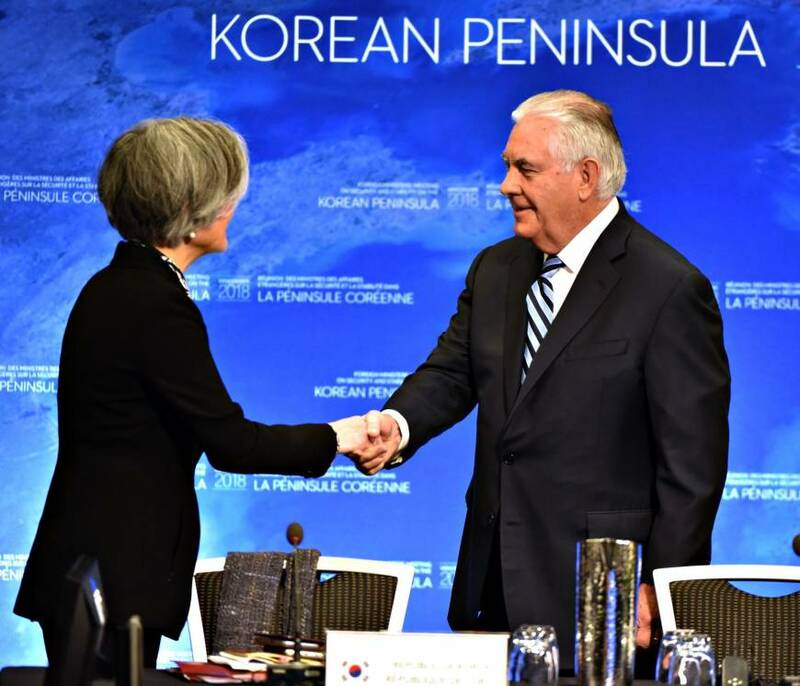 BEIJING - In the weeks leading up to a meeting of foreign ministers this month in Vancouver that discussed ways to rein in North Korea, China exerted strong pressure on some countries involved not to attend it, diplomatic sources said Saturday. Starting from the first week of January, the Chinese Foreign Ministry summoned embassy officials of all 20 countries invited to the meeting, including Japan, South Korea and the United States, and lodged a protest separately, according to the sources, who spoke on condition of anonymity. China, which was excluded from the meeting, told the officials that it would only drive a wedge among the international community and criticized it as running counter to the world’s joint efforts to settle the North Korean nuclear issue peacefully, the sources said. 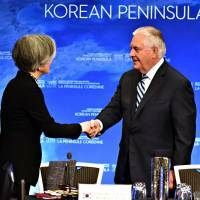 The meeting on Tuesday, co-hosted by Canada and the United States, focused on how best to maximize pressure on North Korea, which shows no signs of curbing its nuclear and missile programs. In apparent efforts to water down the significance of the Vancouver Foreign Ministers’ Meeting on Security and Stability on the Korean Peninsula, the Chinese ministry approached some of the 20 countries several times and urged them to skip the one-off event or avoid sending their foreign ministers to it, the sources said. The degree of persuasion varied, possibly depending on how much each country’s economy relies on China, one of the sources said. Although the 20 countries all participated in the meeting, nearly half of them were eventually represented by senior diplomats rather than foreign ministers. Those countries included the Philippines and Thailand, which increasingly see that China’s economic cooperation is essential for their development. China has said it is time to promote dialogue to defuse tensions stemming from North Korea’s nuclear and missile tests, in particular, as North and South Korea have resumed talks following Pyongyang’s decision to participate in next month’s Pyeongchang Winter Olympics. China’s chain of actions, continued until a few days before the Vancouver meeting, reveal its wariness over the international community being further united in strengthening pressure on North Korea. A day after the meeting in the Canadian city, Chinese Foreign Ministry spokesman Lu Kang said what all parties should do is to cherish the hard-won momentum of easing tensions on the Korean Peninsula and support recent efforts made by the two Koreas in improving relations. “Facts have proven that pressure and isolation alone is counterproductive,” Lu said during a press briefing.